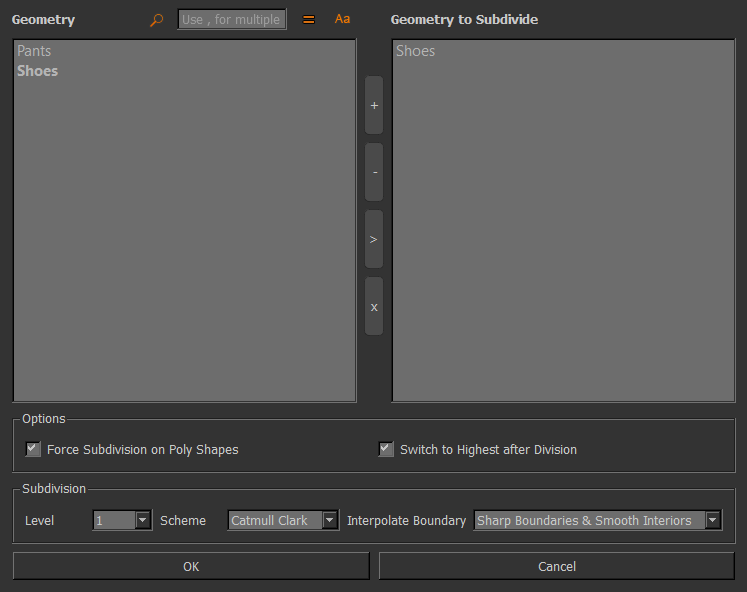 Subdivide has two different UIs depending on where you launch it from. Filtering options at the top of the dialog allow you to search through the list of Objects. 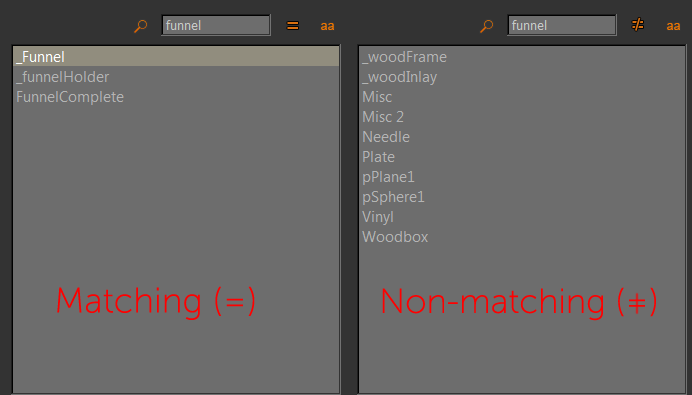 objects that are meant to stay unsubdivided via a tag on the object. been increased from 3 to 5. The geometric subdivision scheme to use.